This color may take 2 to 3 weeks longer to manufacture. Please call 801-785-0700 if you would like an exact ETA. NOTE: Swivel Option will increase the bag cost by $20. Rigid version comes with hard plastic sewn into all 6 walls of the bag. 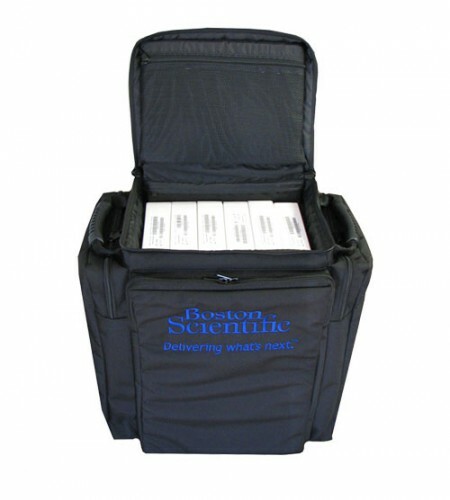 This makes the bag similar to a hard case, offering the maximum amount of protection for your supplies. This is recommended if you plan to stack items on top of your bag, if you fly with the bag, or if you carry easily damageable products. Lightened version comes with hard plastic sewn into 3 walls of the bag and stiff foam into all 6 of the walls, offering a high level of protection for your products. 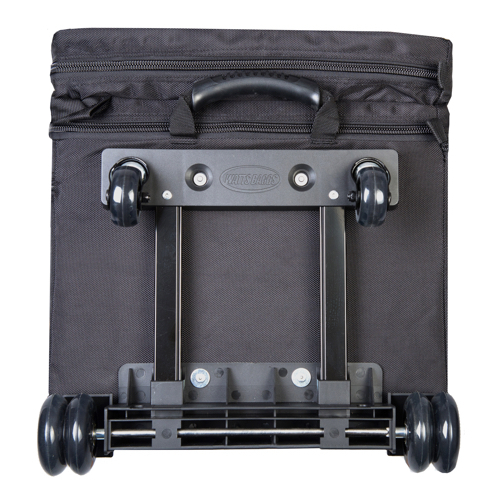 This bag is lighter but looks and functions exactly the same as the rigid version. 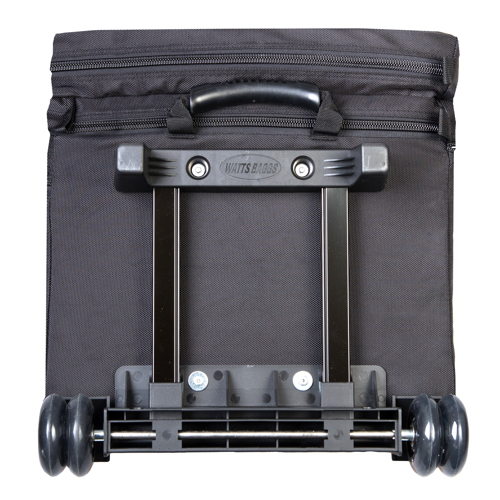 This version is recommended for reps with bad backs or other health problems, reps who are unable to lift heavy weights, reps who have products that are already protected in their own packaging, and trunk stock reps that will not be stacking items on top of this bag. 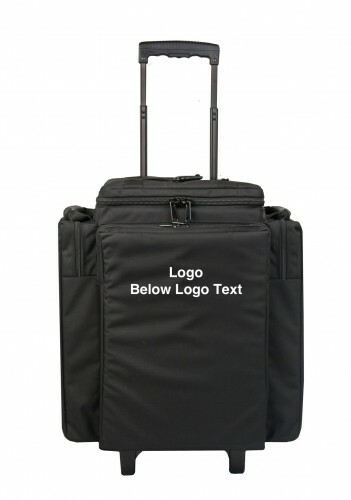 NOTE: All text embroidery will be placed on the bag exactly as it is typed. If you would like all capital letters, type it that way. Please proofread and double-check all text. Any changes to embroidery once the bag has been embroidered or delivered will require an additional fee.